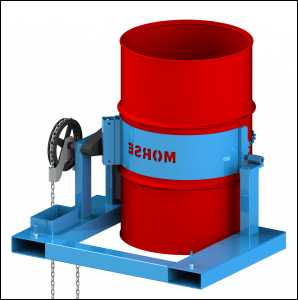 Morse engineers design custom drum handling equipment to fit your specific requirements. 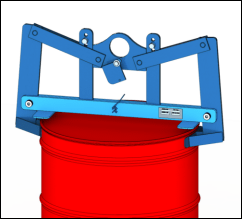 If a standard drum handler will not meet your need, please Request a Quote on a custom drum handler for your unique application, or you may even suggest a new idea. 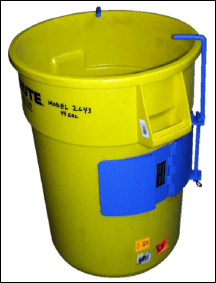 Our CAD system and flexible manufacturing plant enable us to design and fabricate custom drum handlers to address your need. 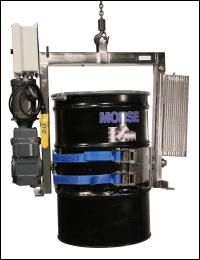 Please contact us, or your Morse dealer, for a quote on your unique drum handling requirements. . . even altogether new designs. Many Morse models have stainless steel construction. Others are available on a custom basis. 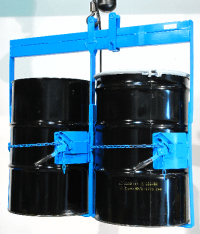 Lift and pour drum below forks of forklift or walkie stacker. 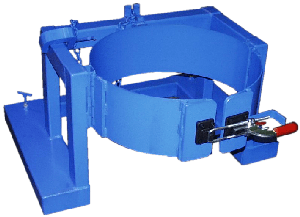 Works when forks do not spread wide enough to accommodate a drum between them. 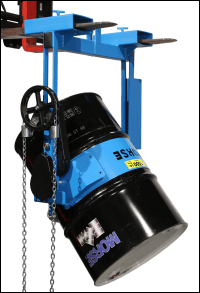 Also use lifting eye to handle drum with crane or hoist. 2. 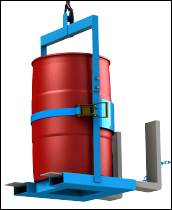 Forklift attachment with the drum pouring controls on the opposite side 4.
under the drum, and a lifting eye on top. with 3,000 Lb. 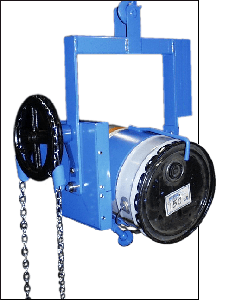 capacity and with no tilt function 6.
for handling up to a 2500 Lb. (1134 kg) drum. 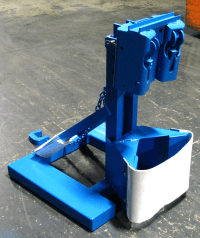 8.
in any Morse drum handler equipped with the MORcinch Drum Holder. 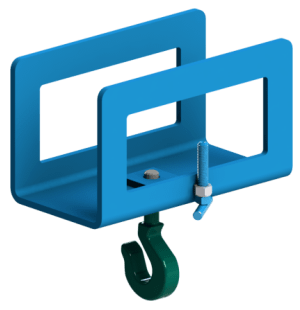 This custom adaptor fits new Below-Hook Kontrol-Karriers with MORcinch Drum Holder Forklift-Karriers with MORcinch Drum Holder Hydra-Lift Karriers with MORcinch Drum Holder 12. 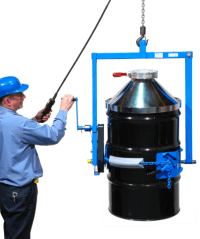 Below-the-hook drum lifter made to lift up to a 2000 Lb. (907 kg) drum. 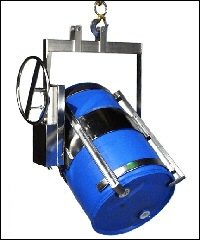 Custom drum handlers to suit your application.